This is a dinner with a lot of moving parts. Marinate the fish, make a parsley sauce, stir the polenta, chop up the onions and garlic! As it turns out we probably waited a bit too long to get dinner under way so we didn’t eat until around 8:30. We made this dinner last week in Utah. This week we are using slightly different ingredients. So the outcome? Last week’s ingredients were better than this week’s. I would vote a solid yes to using Bob’s Red Mill ground corn for the polenta, it’s much tastier. This week’s polenta is a little bland and runny. The Pacific cod from Costco is not as tasty as the individually frozen portions that I got last week from Albertson’s. (I am surprised.) Nevertheless it is a tasty dinner with the polenta and parsley sauce (parsley, lemon juice, water, oil) really tying the whole thing together. 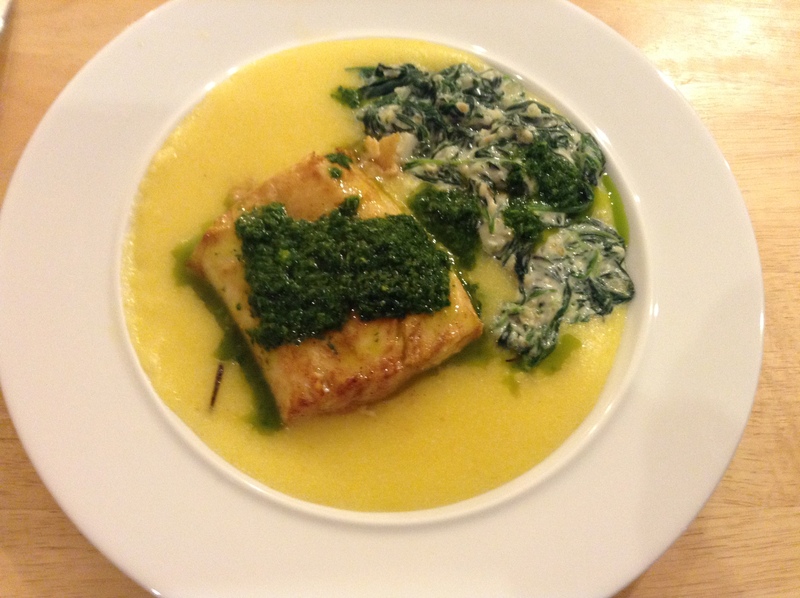 This entry was posted in Fish and tagged cod, creamed spinach, diet, Pacific cod, parsley sauce, polenta. Bookmark the permalink.